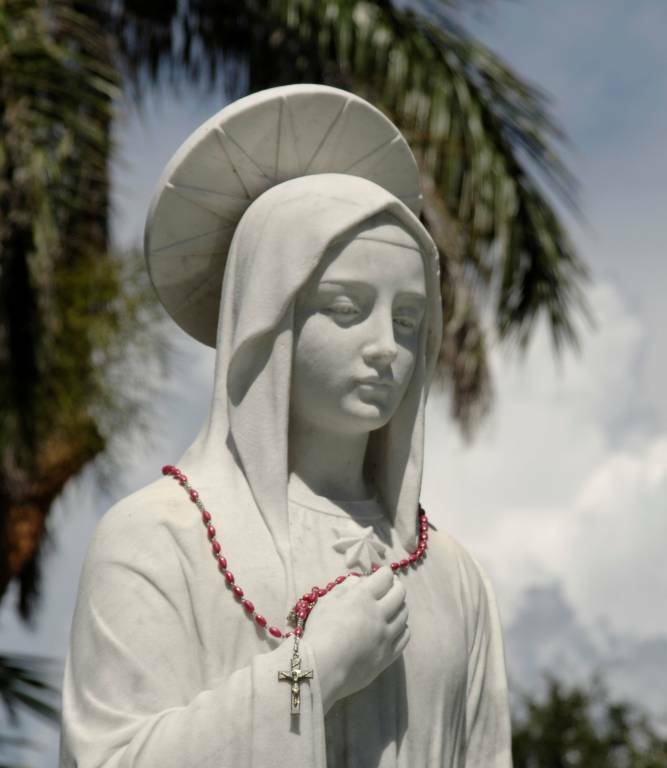 It was during the tenure of Archbishop Joseph P. Hurley in 1964 that a parcel of 12-1/2 acres of prime property located right in the middle of Longboat Key was purchased for a future parish. Longboat Key was then part of the St. Augustine Diocese. (We then became part of the St. Petersburg Diocese and now we are part of the Diocese of Venice in Florida) On Thanksgiving weekend, 1973, we were officially designated a Parish with Fr. Edward Pick named permanent Pastor. Our Island Parish was aptly named St. Mary, Star of the Sea, with our Parish feast day being December 8th. 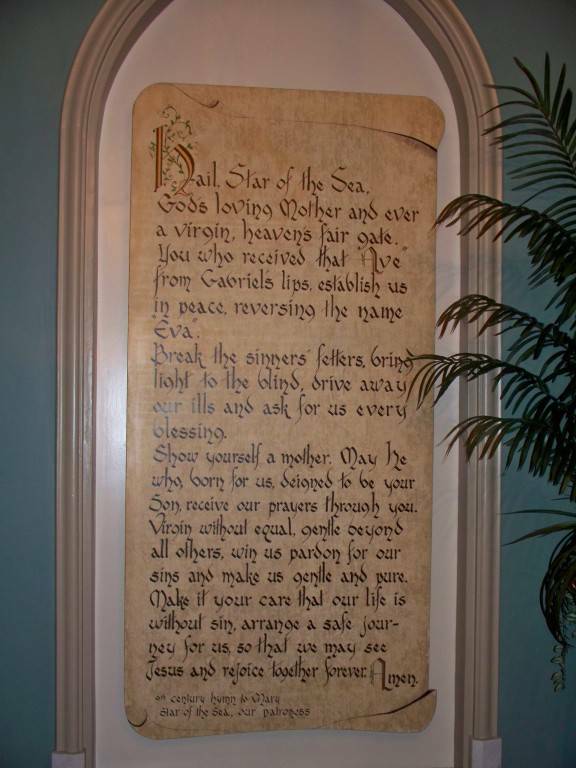 "STAR OF THE SEA" is an ancient title for the Blessed Virgin Mary, first used in the 9th century, translated from the Latin "Stella Maris". This title emphasizes Mary's role as a sign of hope and as a guiding star for Christians. Mary, Star of the Sea, is believed to intercede as a guide and protector of those who travel or seek their livelihoods on the sea. Under this title, she is patroness of the Catholic missions to seafarers and many local churches are aptly named STAR OF THE SEA or Stella Maris. In the 12th century St. Bernard wrote: "If the winds of temptation arise; if you are driven upon the rocks of tribulation, look to the star, call on Mary. If you are tossed upon the waves of pride, of ambition, of envy, of rivalry, look to the star, call on Mary. Should anger, or avarice, or fleshly desire violently assail the frail vessel of your soul, look at the star, call on Mary." Hail, Star of the Sea, God's loving Mother and ever a Virgin, Heaven's fair gate. You who received that "Ave" from Gabriel's lips, establish us in peace, reversing the name 'Eva." Break the sinner's fetters, bring light to the blind, drive away our ills and ask for us every blessing. Show yourself a Mother. May He who, born for us, deigned to be your Son, receive our prayers through you. Virgin without equal, gentle beyond all others, win us pardon for our sins, and make us gentle and pure. Make it your care that our lives are without sin. Arrange a safe journey for us, so that we may see Jesus and rejoice together forever.